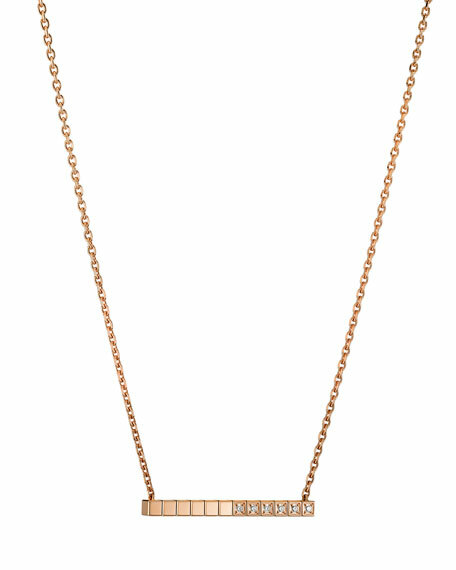 Chopard necklace from the Ice Cube Collection. Integrated bar pendant with diamond details. 6 diamonds; 0.06 total carat weight.